Following the agency’s win of the OCBC account last September, independent creative agency GOVT Singapore has made several senior hires. Leading the OCBC account as group account director is Gloria Tan, who brings with her over 15 years of experience working with agencies such as Saatchi & Saatchi, TBWA, BBDO and Leo Burnett, handling the likes of SK-II, Great Eastern Insurance, Singapore Airlines and Standard Chartered Bank. Most recently, Gloria held the position of business director at independent Australian specialist agency Ward6. Tan reports to the agency’s business director, Jude Foo. The second senior account handler hired for OCBC Bank is senior account director Jaslyn Lam, most recently from Saatchi & Saatchi Singapore, where she led the global and regional management of P&G brand, Pampers. Prior to Saatchi & Saatchi, Lam had stints at DDB working on Health Promotion Board, at TBWA on global and regional digital and brand campaigns for Royal Salute, VISA, Standard Chartered Bank and ANZ, and JWT on Pizza Hut and Listerine. Lam reports to group account director and account lead, Gloria Tan. Leading the creative unit of OCBC is associate creative director Mark Lim. Mark has spent the past 11 years of his career in agencies such as TBWA and DDB, and was most recently creative director at local creative agency Splash. Last but not least, is creative group head Andrew Ho. 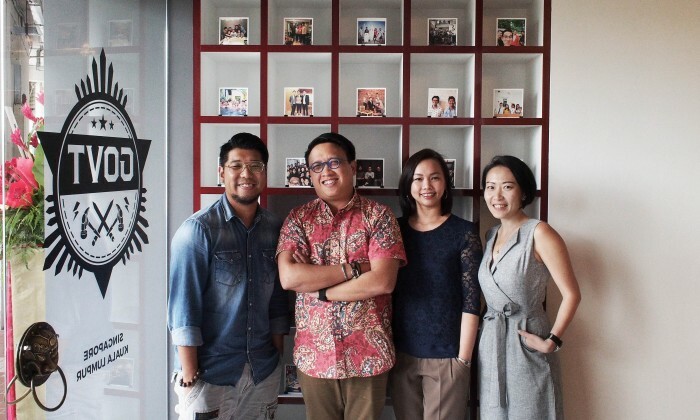 His work for global and regional Unilever’s Clear, Lifebuoy, Citra, Both Lim and Ho will function as a team and report to the agency’s creative director, Tim Chan. GOVT Singapore currently stands at 43 in strength, and counts clients such as MINI Asia, Häagen-Dazs Southeast Asia, National Gallery Singapore, Nescafé, Maggi and OCBC Bank amongst its roster.